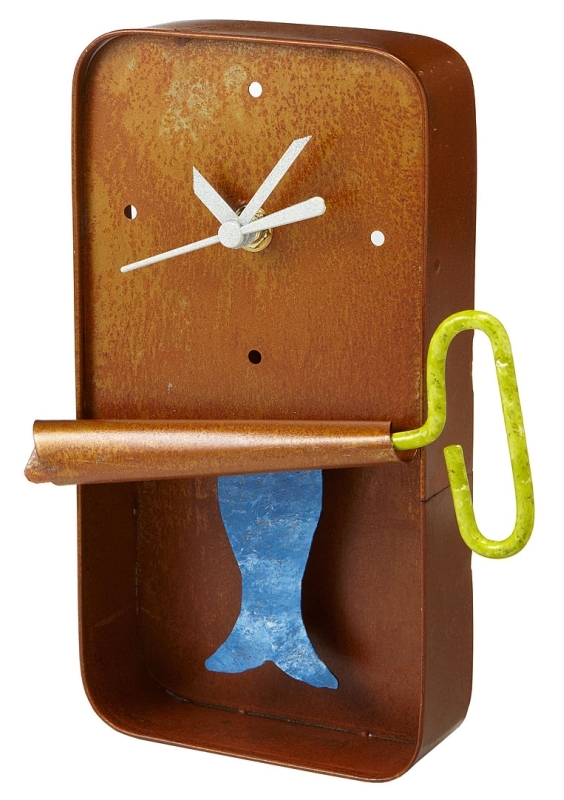 Crafted by artisans in Colombia using recycled metal, its face takes the classic shape of an opened sardine can with a single tail-flipping fish to mark out the seconds. The “rusty” patina and colorful details are applied by hand. It’s a perfect clock for cooks, cat lovers, or anyone with a sense of humor.